Every child from Kindergarten to Year 6 is exposed to a wide range of sporting and physical activities. Every child is encouraged and supported to have a go and to do their best. 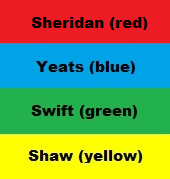 The school has four sporting house groups, each named after an Irish writer and designated by a different colour. Children are assigned to a sporting house in Kindergarten and all siblings belong to the same house. All students have a 30 minute gymnastics lesson each week during Term 2. These lessons are provided by qualified teachers from Sportspro. All students K-3 and Years 4-6 who are not involved in PSSA have the opportunity for weekly swimming lessons for one term during the year. These take place at Carlile Swimming Centre, Killarney Heights which is a short walk from the school. Students in Years 4-6 have the opportunity of attending selection trials for PSSA inter-school sporting teams. AFL, Soccer and netball are played in the winter months and tag football, tee ball, softball and cricket in the summer months. Students in Years 3-6 take place in various competitions that differ from year to year. KHPS has been involved in the Killarney/Forest Rugby Cup, the Paul Kelly AFL Cup and the Northern Sydney Schools Tennis Challenge. Each year students participate in sports carnivals, representing their sports house. Children 8 years and over may participate in a variety of races - Freestyle, Breaststroke, Butterfly and Backstroke. Successful students go on to represent the school at Zone, Area and State Competitions. Junior students (8, 9, 10Years) run a 2km course and Senior students run a 3km course. The first 6 students in each age group go on to represent the school at Warringah Zone Competitions. Children 8 years and over can compete in a number of different track and field events - 100m run, 200m run, 800m run, shot put, discus, long jump and high jump. Successful students go on to represent the school at Warringah Zone Competitions. Students in K-2 have a separate sports carnival.